Special u2018footstepu2019 marks have appeared near famous landmarks in London, Manchester and Birmingham, designed to show smartphone photographers the best places from which to take pictures. 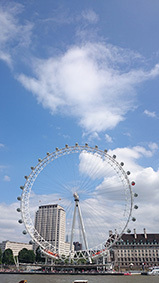 The scheme – dreamt up by Sony to promote its Xperia smartphones – aims to help users find the ideal position to capture photos of landmarks such as Big Ben and Tower Bridge. Sony Mobile spokesman Matt Beavis said: ‘We’ve got the tech but it’s about going beyond this and helping people to make the most of it. 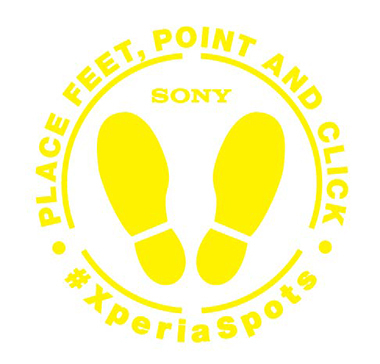 Sony launched the #XperiaSpots project in partnership with Mimi Chan and Utsavi Jhaveri, who have conducted similar projects in New York and San Francisco.